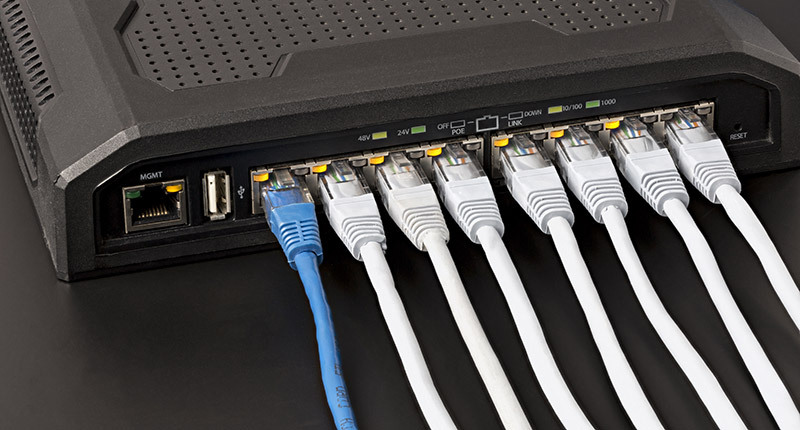 Power Over Ethernet (POE) powers hundreds of millions of end devices daily including high volume applications such as wireless access points (APs) and Internet Protocol (IP) phones. However, until recently, the modest amount of power delivered to the end device (25.5 watts) has limited the application of the technology to support other areas. Recent advancements in IEEE standards have dramatically increased the power output, opening up POE technology for additional applications. In 2004, IEEE 802.af standard specified how to provide up to 15.4 watts of 48-volt dc power with an allowance for cable dissipation which ended up providing 12.95 watts of power being delivered to the device. In 2009, IEEE 802.at was introduced to provide up to 30 watts of power to the powered device. Factoring dissipation for cable lengths, the end device could expect 25.5 watts of power at the end device. In both standards power was distributed by using (2) spare pairs of the cable. Currently the IEEE is pitching the new IEEE 802.bt standard that will double and perhaps as much as triple the power delivered to the end device. This standard currently entered into the task force phase will supply power over all (4) pairs in each cable. With the increase in power available, other technologies requiring higher amount of power can now enter the POE world. Historically, IT professionals were primarily concerned with the transmission characteristics of their cable plant but with the higher wattage of POE available, the need to understand the electrical characteristics of their cable will become a reality. Things such as voltage drop, heat dissipation and wire gauge will have an impact on the distribution and performance of power to the edge devices. Installation best practices are crucial when considering power distribution. Bend radius of cables and bundling groups of cables will hinder the ability to dissipate heat and over time impact the integrity of the cable plant. Gettle’s industry-certified team of datacom professionals is at the forefront of POE installation technology. Reach out today to learn more about Power Over Ethernet and potential applications for your business. Our team is ready to provide design and testing support to ensure your cable plant achieves the performance necessary to support your network.